I am converting a spare bedroom into a workshop. I am installing a Murphy bed for space. I have a nook that is just short of 5 foot and would like to build a cello rack. Does anyone have specs for one? I am going to offer you two solutions. 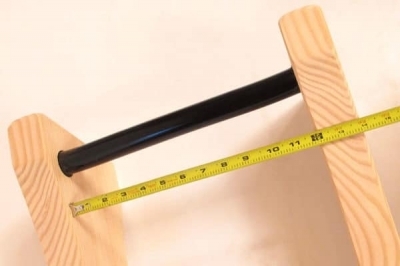 The first can be inexpensively made with schedule 80 pvc tubing (or similar) and framing lumber. 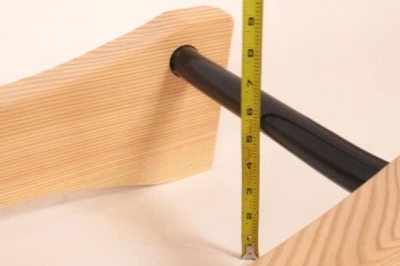 I suggest constructing one assembly per cello for safety, but can likely be scaled up by the use of longer lengths of tube with intermediate frame members. I have artfully cropped image to avoid inadvertent advertising. Dimensions likely are for string bass. My second suggestion is for a combined storage rack and playing stool. The first one, for me, would not be secure enough either. If the cello is straight up and down, I would be concerned with it falling forward. I saw wood floor vertical holding ones at the violin shop. 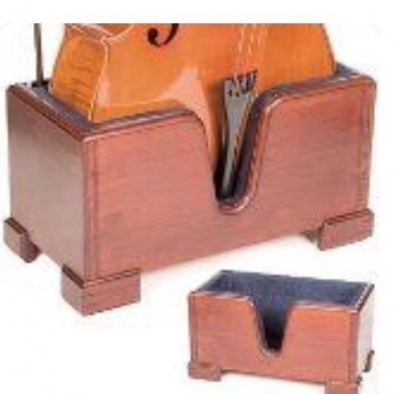 They are a deeper base part with more of the cello in a wood box type bottom. Even those, to my husband and I, did not look as secure as the adjustible tripod aluminum ones that have a bar that comes down across the neck. The angle of the tripod adjusts. These are quite an expensive solution if you need a lot of them. 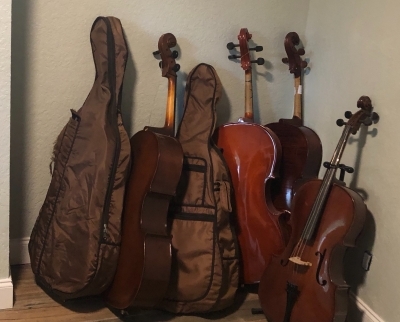 If it is going to also serve as a spare bedroom, I think the cellos should be a little more secured due to room traffic with guests not used to being around the instruments. Again, that was just what we looked for when we looked for in a cello stand and bought the teipod cello floor stands. I don’t know how mucn of a concern these points would be for you. This is what I was talking ablut with the deeper box. I have seen violins and viola hung by the use of a metal hanger in the form of an inverted “7” by the intersection of the scroll and the pegbox. If you did that to half of them, it would double your storage area. This is not sideways, but take this idea and modify for your needs. The minute I saw this I was thinking of a bench with a back, as long as it is deep enough. Put vertical slots on it with enough space for a cello, allowing for the bridge. If the back was high enough, you could have a closure hinge that would hold the cello vertical and be able to open to get the cello out. You know, if it had wheels like this, you could move them put quickly if they would fit through the doorway. Or move to clean around them. Then just lock the wheels. It is interesting that none of the cellos on that cart have bridges or tailpieces. Not sure where you would get specs. 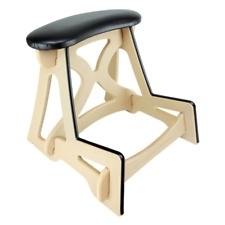 I googled for cello stand specs. Maybe cello cart specs? 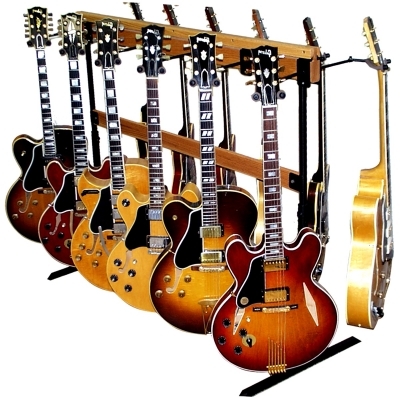 We can offer this with 8" rotating cello yokes instead of guitar, but it's a bit pricy. @steveduf I wish I had 7 cellos and this problem. Best of luck in your search for a solution. Some of them are going to the school. Also, our local music store closed that was the main source for rentals. It was offered to Mack to rent some to the school plus offer rentals next year to students. It would be a fun side gig for her. @steveduf and others. Since you have a cello (s) handy for measurement, it is rather easy to scale up the photos cid provided to make the stand. I use the cross multiplication method between known and unknown distances. It looks like all cart pictures used cellos with attached bridges. 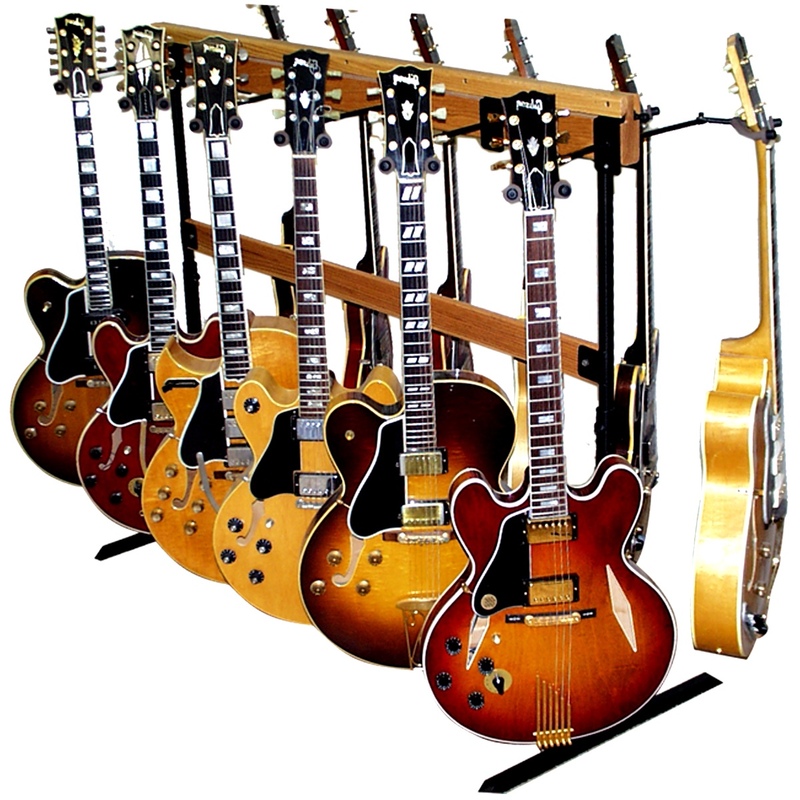 Once you start renting instruments, that should place you “in the trade” for string discounts and such. 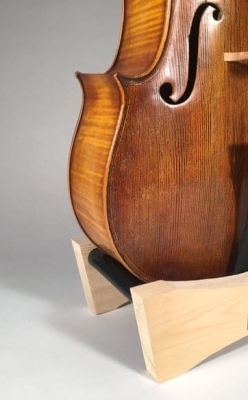 You may want to consider providing the cellos with cherry rib protectors to avoid damage from placement on sides.